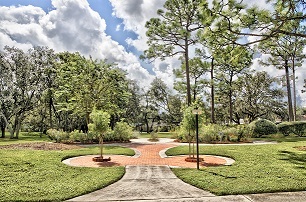 This 2-1/2 acre park is home to the beautiful Crystal Bowl Butterfly Garden. Crystal Bowl/Conservation Park hosts the annual South Seminole Service Day celebration and serves as an outdoor classroom for local students. This park was developed as a conservation and educational area through partnerships with St. John's Water Management, University of Florida, Casselberry Schools and other community organizations.